Involved as it is with 95% of the periodic table, inorganic chemistry is one of the foundational subjects of scientific study. Inorganic catalysts are used in crucial industrial processes and the field, to a significant extent, also forms the basis of nanotechnology. Unfortunately, the subject is not a popular one for undergraduates. This book aims to take a step to change this state of affairs by presenting a mechanistic, logical introduction to the subject. 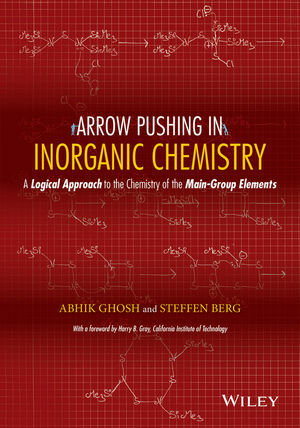 Organic teaching places heavy emphasis on reaction mechanisms - "arrow-pushing" - and the authors of this book have found that a mechanistic approach works just as well for elementary inorganic chemistry. As opposed to listening to formal lectures or learning the material by heart, by teaching students to recognize common inorganic species as electrophiles and nucleophiles, coupled with organic-style arrow-pushing, this book serves as a gentle and stimulating introduction to inorganic chemistry, providing students with the knowledge and opportunity to solve inorganic reaction mechanisms. Steffen Berg and Abhik Ghosh are chemists based at UiT – The Arctic University of Norway. They share a passion for chemical education, and are particularly interested in developing methods to help high school students and undergraduates understand difficult concepts.